For the past week I have been immersed in MORTAL DANGER…narrating the book, that is! For the past week, I have been immersed in MORTAL DANGER…narrating the book, that is! 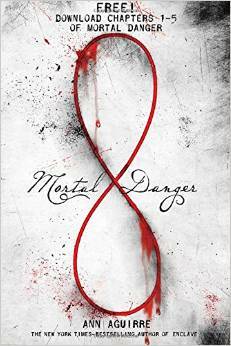 MORTAL DANGER is Ann Aguirre latest YA novel and I couldn’t be more thrilled to be bringing her words to life for Macmillan Audio. I have been having so much fun! While I always have a heart for YA novels, after spending many years as a volunteer youth worker for teens, this particular novel has me riveted. The beginning of the book, captured my heart and now, almost nearing the end, my breath is catching in my throat as the suspense mounts! I will keep you posted when the audiobook version is out. We’ve got probably a couple more days of recording and I am already getting sad it’s coming to a close. I LOVE it when that happens.